Care bundles are recommended in patients at high risk for acute kidney injury (AKI), although they have not been proven to improve outcomes. We sought to establish the efficacy of an implementation of the Kidney Disease Improving Global Outcomes (KDIGO) guidelines to prevent cardiac surgery-associated AKI in high risk patients defined by renal biomarkers. In this single-center trial, we examined the effect of a “KDIGO bundle” consisting of optimization of volume status and hemodynamics, avoidance of nephrotoxic drugs, and preventing hyperglycemia in high risk patients defined as urinary [TIMP-2]·[IGFBP7] > 0.3 undergoing cardiac surgery. The primary endpoint was the rate of AKI defined by KDIGO criteria within the first 72 h after surgery. Secondary endpoints included AKI severity, need for dialysis, length of stay, and major adverse kidney events (MAKE) at days 30, 60, and 90. AKI was significantly reduced with the intervention compared to controls [55.1 vs. 71.7%; ARR 16.6% (95 CI 5.5–27.9%); p = 0.004]. The implementation of the bundle resulted in significantly improved hemodynamic parameters at different time points (p < 0.05), less hyperglycemia (p < 0.001) and use of ACEi/ARBs (p < 0.001) compared to controls. Rates of moderate to severe AKI were also significantly reduced by the intervention compared to controls. There were no significant effects on other secondary outcomes. An implementation of the KDIGO guidelines compared with standard care reduced the frequency and severity of AKI after cardiac surgery in high risk patients. Adequately powered multicenter trials are warranted to examine mortality and long-term renal outcomes. Take home message: An implementation of the KDIGO guidelines compared with standard care reduced the frequency and severity of cardiac surgery-associated AKI (CSA-AKI) in high risk patients identified by biomarkers. Future studies will be needed to address whether this approach has an impact on long-term outcomes. The online version of this article (doi: 10.1007/s00134-016-4670-3) contains supplementary material, which is available to authorized users. An erratum to this article is available at https://doi.org/10.1007/s00134-017-4735-y. Acute kidney injury (AKI) is a well-recognized complication following cardiac surgery and significantly affects morbidity and mortality . Up to 30% of patients develop AKI after cardiac surgery, whereas severe AKI requiring dialysis is relatively rare . Approximately 1% of all patients undergoing cardiac surgery develop a severe dialysis-dependent AKI, and this severity of AKI is associated with especially poor outcomes . Although the mechanisms of AKI are not fully understood, injury to renal tubular epithelial cells is a universal aspect of the disease. Despite numerous clinical trials using several interventions , a reliable means to prevent AKI remains elusive. In earlier studies, interventions for AKI were started after a change in kidney function, a surrogate for kidney damage, had occurred [3, 4]. However, no intervention has yet demonstrated an effect in treating AKI once it has occurred [3, 4]. In contrast to these studies, the Kidney Disease: Improving Global Outcomes (KDIGO) guidelines for AKI recommend to initiate different supportive measures (volume management, maintenance of adequate blood pressure, and judicious avoidance of nephrotoxins) in patients at high risk for AKI , although it has not been proven that this approach reduces the occurrence or severity of AKI. High risk patients can be identified by renal biomarkers, but measuring biomarkers in all patients reduces the specificity of biomarkers. Therefore, it was suggested that renal biomarkers should be used in patients with a certain risk profile consisting of different risk factors and/or certain clinical conditions (e.g., sepsis or major surgery) [6, 7]. In contrast to the conventional biomarkers serum creatinine and urine output, which are markers of kidney function, new biomarkers allow a diagnosis to be made earlier and they allow kidney injury to be diagnosed even in the absence of concurrent or subsequent dysfunction . A biomarker-based approach was first used in the EARLYARF trial but the applied biomarkers showed poor predictive performance . The two new renal biomarkers, insulin-like growth factor-binding protein 7 (IGFBP7) and tissue inhibitor of metalloproteinases-2 (TIMP-2), are involved in G1 cell cycle arrest and are able to identify patients at high risk for AKI . We have previously shown that urinary [TIMP-2]·[IGFBP7] has excellent performance in predicting cardiac surgery-associated AKI (CSA-AKI) . To investigate whether an implementation of a supportive care “bundle” in high risk patients for AKI as suggested by the KDIGO guidelines can reduce the occurrence and severity of CSA-AKI, we performed a single-center, clinical randomized controlled trial. Our goal was to acquire phase 2 equivalent data to support a larger multicenter trial to examine the effectiveness of a KDIGO bundle in reducing mortality and long-term renal dysfunction. Eligible patients were adults at high risk for AKI who underwent cardiac surgery with the use of cardiopulmonary bypass (CPB) at the University of Muenster (Germany), between August 2014 and December 2015. High risk for AKI was defined as urinary [TIMP-2]·[IGFBP7] ≥ 0.3 (Nephrocheck® Test) 4 h after CPB. The surgical procedure and perioperative care were performed according to the standard of care for the center. All cardiac surgery patients received a central venous catheter and an arterial line. In the intraoperative period, patients with a low ejection fraction, known regional wall motion abnormalities, and/or valvular dysfunctions received a transesophageal echocardiography to monitor heart function during the operation (the probe was removed after surgery). [TIMP-2]·[IGFBP7] was measured in every patient undergoing on-pump cardiac surgery 4 h after CPB disconnection. According to recently published trials [9, 10], patients with an increased [TIMP-2]·[IGFBP7] are at high risk for the development of AKI and we therefore used this test to enrich the study population. Discarded urine was used to measure [TIMP-2]·[IGFBP7] and identify patients eligible for the study. Prior to patients being randomized into the study, the trial investigators obtained informed consent for participation in the study. Patients assigned to the control group received standard care including the specification to keep mean arterial pressure (MAP) >65 mmHg and central venous pressure (CVP) between 8 and 10 mmHg. Patients received angiotensin converting enzyme inhibitors (ACEi) or angiotensin II receptor blockers (ARBs) once the hemodynamic situation stabilized and hypertension occurred (according to the recommendations of the American College of Cardiology Foundation 2011). Patients assigned to the intervention group received a strictly controlled implementation of the KDIGO guidelines (“KDIGO CT surgery bundle”) consisting of the following measures: avoidance of nephrotoxic agents, discontinuation of ACEi and ARBs for the first 48 h after surgery, close monitoring of serum creatinine and urine output, avoidance of hyperglycemia for the first 72 h after surgery, consideration of alternatives to radiocontrast agents, close hemodynamic monitoring by using a PICCO catheter with an optimization of the volume status and hemodynamic parameters according to a prespecified algorithm (Supplementary Fig. S1). The primary endpoint was the occurrence of AKI within the first 72 h after cardiac surgery. We defined AKI according to the KDIGO criteria (Supplementary Table S1). Secondary endpoints were severity of AKI within 72 h, the 30-, 60-, and 90-day all-cause mortality, need for renal replacement therapy (RRT) during index hospitalization and after 30, 60, and 90 days, persistent renal dysfunction (PRD) at days 30, 60, and 90 (defined as serum creatinine ≥0.5 mg/dl as compared to baseline), MAKE n (major adverse kidney events defined as combination of mortality, need for RRT, and PRD at day n; n = 30, 60, and 90, respectively), length of stay in the intensive care unit (ICU), and length of hospital stay. We abstracted clinical variables from the medical record. The adherence to the hemodynamic protocol was documented every 3 h. Initiation of RRT was at the discretion of the ICU clinicians. Criteria for RRT were not included in the protocol. We calculated a necessary sample size based on the primary endpoint, using nQuery Advisor version 7. According to previous trials, 80% of patients with a [TIMP-2]·[IGFBP7] ≥ 0.3 developed CSA-AKI . The primary efficacy analysis was intended to show superiority of the validation strategy, applying a two-sided χ 2 test on significance level α = 0.05. As a result of a lack of reference values, we hypothesized to reduce the incidence of AKI to 65%. Resulting from these considerations and a power of 80%, the required sample size was calculated to be 138 evaluable patients per treatment group, i.e., 276 in total. The primary efficacy analysis included all randomized patients (full analysis set) and was performed according to the intent-to-treat principle, i.e., all patients were analyzed according to their randomization. For the primary outcome and the secondary endpoint AKI severity all patients had complete data. Categorical variables were summarized by frequency tables. Treatment groups were compared with the χ 2 test (or Fisher’s exact test if the respective frequency tables contained cells with expected counts <5). We estimated the odds ratio (OR) as well as the absolute risk reduction (ARR) between treatment groups, including 95% confidence intervals (CI). Normally distributed continuous variables were expressed as mean (standard deviation, SD), and were compared between groups with an unpaired Student’s t test. Continuous variables, which were not normally distributed, were analyzed using a nonparametric test (Mann–Whitney U test). Median values were compared between treatment groups using the Hodges–Lehmann estimator of location shift with associated 95% CI. In exploratory analyses two-sided p values were considered noticeable (“significant”) at p ≤ 0.05. Statistical analyses were performed using the SAS software (version 9.4 for Windows, SAS Institute Inc., Cary, NC, USA). A total of 1046 patients underwent cardiac surgery during the recruitment period and 882 patients were properly screened because in 164 patients no PICCO device was available. Of these, 276 patients were enrolled and randomized to either the intervention group (n = 138) or the control group (n = 138) and included in the primary analysis (Fig. 1). All randomly assigned patients received their allocated treatment. Median urine [TIMP-2]·[IGFBP7] was 0.50 (Q1, Q3; 0.38, 0.87) in the intervention and 0.61 (Q1, Q3; 0.39, 1.09) in the control group (p = 0.149) (Table 1). The baseline and intraoperative characteristics did not differ between groups (Table 1). Clinical care outside the trial intervention was also similar (Table 1), including operative characteristics, volume administration, and the use of catecholamines. Use of catecholamines and administered volume at the time of randomization were similar in both groups (Supplementary Table S2). During the study period, significantly more patients in the intervention group [43 (31.2%)] received dobutamine compared to the sham group [13 (9.4%); p < 0.001] resulting in a significantly increased MAP and CVP at different time points (Table 2). Although the use of inotropes was significantly higher in the intervention group, the occurrence of atrial fibrillation within the first 12 h (Table 2) and the concentration of cardiac biomarkers was similar between the two groups (CK-MB: p = 0.229, troponin I: p = 0.140). In addition, the rate of hyperglycemia (p < 0.001) and use of ACEi and ARBs (p < 0.001) were significantly reduced in the intervention group compared to the control group (Table 2). However, the total administered volume was not different between the two groups (Table 2), but the patients in the intervention group received significantly less volume during the last 3 h of the intervention period (p = 0.024) (Supplementary Table S3). The overall AKI incidence was 63.4% (175/276). Of the 276 study subjects, in 24 patients AKI was diagnosed by serum creatinine while in 143 patients, urine output criteria were met although the postoperative use of diuretics was similar in the two groups (Table 3). In eight patients, serum creatinine and urine output criteria were met. At 12 h after randomization, median urine [TIMP-2]·[IGFBP7] was 0.58 (Q1, Q3; 0.26, 1.20) in the intervention and 0.84 (Q1, Q3; 0.35, 1.57) in the control group (p = 0.045) (Table 2). Patients in the control group showed a non-significant change in [TIMP-2]·[IGFBP7] from 0.61 to 0.84 (p = 0.098) as compared to from 0.50 to 0.58 (p = 0.536) in the intervention group. The primary outcome, occurrence of AKI within 72 h after cardiac surgery according to the KDIGO classification system, occurred in significantly fewer patients in the intervention group [76 (55.1%)] compared to the control [99 (71.7%)] group [p = 0.004; OR, 0.483 (95% CI, 0.293–0.796); ARR, 16.6% (95% CI, 5.5–27.9%)] (Table 3; Fig. 2). In the intervention group significantly lower rates of moderate and severe AKI were observed compared to the control group [41/138 (29.7%) vs 62/138 (44.9%); p = 0.009; OR, 0.518 (95% CI, 0.316–0.851); ARR, 15.2% (95% CI, 4.0–26.5%)] (Table 3). Patients with [TIMP-2]·[IGFBP7] > 2.0 at 4 h after cardiac surgery were at highest risk for developing AKI (81.3% in the intervention and 83.3% in the control group). There were no significant differences for any of the other secondary outcomes, including requirement of RRT during hospital stay, ICU and hospital stay as well as major adverse kidney events (MAKE) at day 30, 60, and 90 (Table 3). In this randomized clinical trial of patients undergoing cardiac surgery, the implementation of a bundle of supportive measures in high risk patients identified by elevated biomarker levels reduced the occurrence of AKI within 72 h compared to standard care. The diagnosis of AKI relies on functional parameters that cannot be used for the early diagnosis of AKI. In contrast, AKI biomarkers may increase in response to a wide variety of insults and therefore they might be used to identify a status of kidney stress or an increased susceptibility to insults. Under such circumstances, biomarkers may allow one to implement preventive and protective measures well before clinical AKI becomes manifest according to well-established definitions . In other fields of medicine, biomarkers allow an early start of the therapy as well as the initiation of molecularly targeted therapies [12, 13, 14]. As a result, experts in the field of critical care nephrology asked for an implementation of treatment strategies in high risk patients to prevent AKI [15, 16]. On the basis of the good performance of [TIMP-2]·[IGFBP7] in predicting AKI [9, 10] and the fact that [TIMP-2]·[IGFBP7] can be measured at the bedside, we decided to use these two AKI biomarkers to identify patients at high risk for CSA-AKI. The pathophysiology of CSA-AKI is very complex and consists of renal ischemia, reperfusion, inflammation, oxidative stress, hemolysis, and toxins. Pharmacological and non-pharmacological preventive strategies have largely failed to reduce the occurrence of CSA-AKI in clinical trials [17, 18], although some treatments may be effective in specific patient populations . As several signaling pathways are involved in the pathophysiology of CSA-AKI, we implemented a bundle of supportive measures which are recommended by the KDIGO guidelines. This multifactorial approach may improve renal perfusion  and reduces inflammation  and oxidative stress . One would assume that these supportive bundles should be implemented in the whole cardiac surgery. However, some of the measures are not harmful whereas other measures might be harmful or even against other guidelines and should only be applied in high risk patients. Here we demonstrate that the implementation of the KDIGO guidelines resulted in more use of dobutamine, a reduced rate of hyperglycemia, and higher rate of discontinuing ACEi and ARBs. Although the increased use of dobutamine in the intervention group was associated with a significantly increased blood pressure at different time points, this difference and the small significant difference in fluids are probably not clinically relevant. 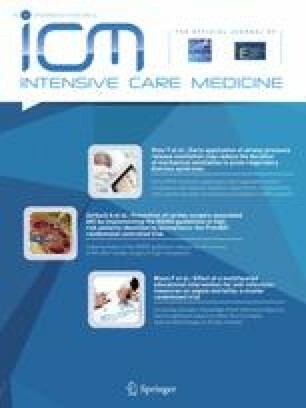 In addition to the increased use of dobutamine, patients in the intervention group received a better hemodynamic monitoring resulting in the possibility of a more personalized medicine. The discontinuation of ACEi and ARBs might result in a change in serum creatinine not representing a structural AKI. However, patients in the intervention group showed lower tubular damage biomarker levels ([TIMP-2]·[IGFBP7]) at 12 h after randomization, supporting the hypothesis that the implementation of the bundle dampens tubular damage and protects from AKI. Hyperglycemia is a common complication after surgery and is reported to occur in 33.7–74% in non-diabetic patients after cardiac surgery . By implementing the KDIGO guidelines, we were able to significantly reduce the rate of hyperglycemia in the intervention group. However, we do not know whether one measure or the combination of different measures is responsible for the reduced AKI rate in the study group. Recently, Osawa et al. showed that a goal-directed therapy resulted in a significant reduction of the combined endpoint 30-day mortality and major complications but did not affect the occurrence of AKI . However, patients included in this trial were not at high risk for AKI and the occurrence of AKI was far lower than in the PrevAKI trial. Our findings are in line with other studies, showing that a supportive bundle can reduce the occurrence of AKI [20, 24, 25, 26]. CSA-AKI is associated with an increased morbidity and mortality [1, 27]. One would assume that reducing the incidence of AKI has an impact on morbidity and mortality. Although we demonstrated in this trial that the implementation of the KDIGO guidelines significantly reduced the occurrence of AKI within 72 h after cardiac surgery, this intervention had no impact on secondary outcomes (ICU and hospital stay, MAKE at days 30, 60, and 90). We offer several possible reasons for these observed results. First, a follow-up duration of 90 days may be too short (e.g., in patients with relatively healthy kidneys and ample renal reserve before surgery). However, the association was robust at 90 days in prior observational studies . A between-group difference during longer follow-up might be more likely if a benefit was not evident after such a short period. Second, mild to moderate AKI (as defined by the KDIGO classification system ) may not cause substantial chronic kidney disease (CKD). Multiple observational studies demonstrate a robust association between mild to moderate AKI and long-term declines in kidney function. However, patients who develop AKI (versus those who do not) in almost all observational studies are sicker and have more comorbidities, which also contribute to the development and progression of CKD. Third, the rate of complications was low and the study was not powered to show a difference. These factors may confound some of the observed associations between AKI and PRD . Fourth, we used the KDIGO criteria to diagnose AKI and most AKIs were diagnosed on the basis of a decreased urine output. The association of oliguria with patient-centered outcomes has been shown in a general ICU population (where it is mainly shown for the higher AKI stages) , but not in a cardiac surgery population which could be explained by the relatively higher incidence of prerenal causes . Further studies have to be performed to investigate whether an association of the oliguric component and long-term outcomes in cardiac surgery patients exists. One strength of the PrevAKI trial is the generalizability of the data, because the number of exclusion criteria was limited. However, our active intervention was only used in selected patients with positive biomarker results. The study is not without limitations. Hemodynamic optimization, glycemic control, and deferring ACEi/ARBs for the first 48 h after cardiac surgery may be already part of the postoperative management in other centers. However, it is known from other fields in medicine (e.g., sepsis) that the compliance to adhere to guidelines is low [32, 33]. According to the EuroSCORE, the 30-day mortality rate of patients in our institution is comparable with the treatment in other centers. Therefore, our data suggest that the adherence to guidelines can reduce the occurrence of CSA-AKI. Although a large difference in the AKI rate was detected, this was not a multicenter trial and, as with many single-center studies, the observed effect size is likely inflated. Another reason why larger trials are needed is that small trials cannot avoid small baseline differences. Therefore, an adequately powered multicenter trial is needed to confirm our results and establish a bundle of supportive measures to reduce the occurrence of CSA-AKI. In addition, this study was not blinded, which could contribute to measurement bias. Finally, we found a non-significant trend towards higher adverse kidney events (MAKE, requirement of RRT, and persistent renal dysfunction) in the intervention group early after surgery. Although the power analysis was performed for the primary endpoint AKI within 72 h after cardiac surgery, it might be possible that implementing this bundle of measures in cardiac surgery patients at high risk for AKI causes a deteriorated patient-centered outcome. Therefore, caution needs to be exercised by interpreting these results and future trials addressing this issue are required. AZ has received unrestricted grant and lecture fees from Astute Medical as well as lecture fees from Fresenius and Braun. MM has received lecture fees from Astute Medical. The remaining authors declare that they have no conflicts of interest. The trial is registered at http://apps.who.int/trialsearch/ (Identifier: DRKS00006139). 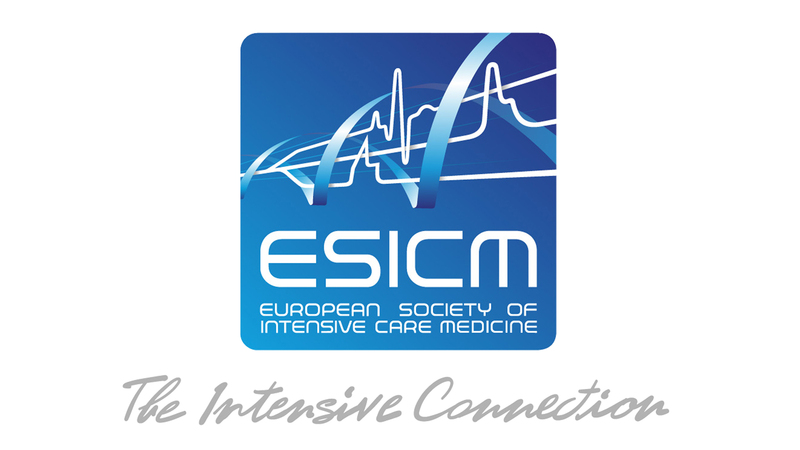 The study was supported by the German Research Foundation (428/6-1 to AZ), the European Society of Intensive Care Medicine, the Innovative Medizinische Forschung (to MM), and an unrestricted research grant from Astute Medical. Open AccessThe article is distributed under the terms of the Creative Commons Attribution-NonCommercial 4.0 International License (http://creativecommons.org/licenses/by-nc/4.0/), which permits any noncommercial use, duplication, adaptation, distribution and reproduction in any medium or format, as long as you give appropriate credit to the original author(s) and the source, a link is provided to the Creative Commons license and any changes made are indicated.